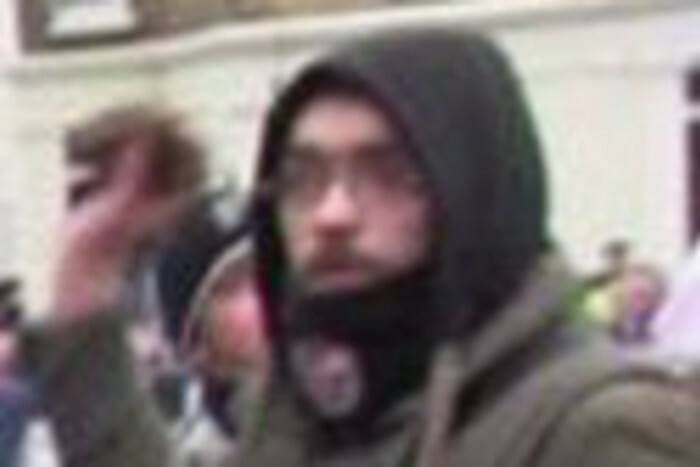 A rioter who ‘hijacked’ a flag of St George and used it to beat a left-wing protester until it snapped has been jailed. 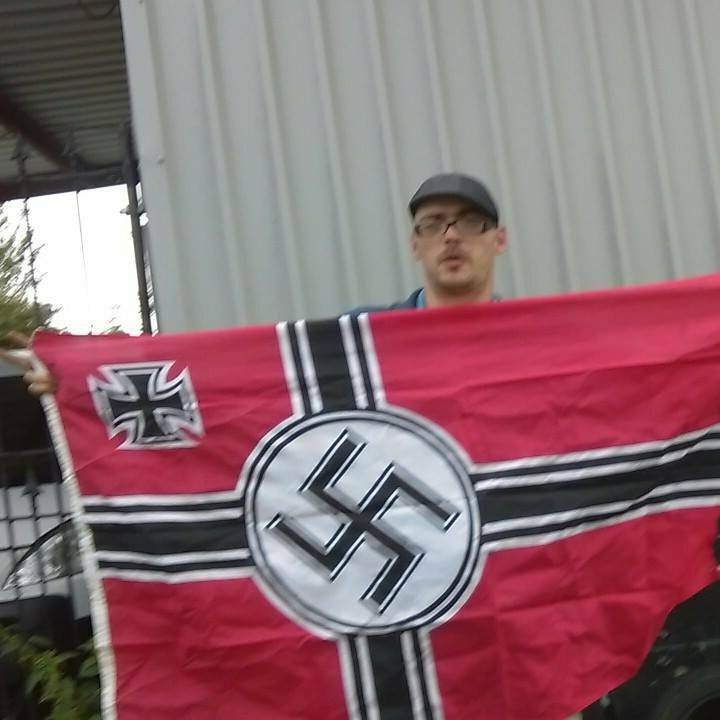 Tony Baker then threw bricks at rivals before giving Nazi-style salutes during an incident in Dover, Kent, in January. But when he was ordered to appear at Canterbury Crown Court for his trial, he failed to show up because his wife, Natalie had just given birth to their third child. His barrister, Matthew Hardyman, said the 30-year-old builder had realised other rioters were being jailed “and decided to earn as much money as he could” before being sent to prison. But going AWOL cost Baker an extra month inside – after the judge jailed him for a total of 30 months. He had pleaded guilty to violent disorder after travelling from his home in D’arcy Square, Murton, to join the protest. Prosecutor Robert Ward told how Baker was caught on CCTV holding an English flag in front of the Priory Hotel. He was later seen wearing a mask and running towards left-wing protesters, hurling bricks and other objects and using the broken flag pole to strike an opponent “at least six times” until it snapped. After his arrest he was ordered to appear at a hearing in September – but failed to show up. Mr Hardyman said Baker and his wife were “childhood sweethearts” who had been together since he was 13. “The reason he didn’t turn up for his trial was because Natalie had given birth to their third child. A lot of his colleagues, who had also attended the demonstration, had received custodial sentences. Last week, Baker turned up at a Durham police station and gave himself up after an arrest warrant had been issued. “He maintains he was hit first by bricks being thrown by left wing protesters and he knows now he should have walked away. He knows that now and knows he has made a terrible mistake, “ added Mr Hardyman. The judge told him that the riot was “not about politics but about maintaining the peace and law and order as against wholesale violent behaviour”. “Everyone has a right to be patriotic and demonstrate peacefully but you took a lead role in what was unacceptable, something which was unpleasant for the people of Dover and not much fun for the police,” he added.